I love smoothies. They are so versatile. They are quick. Easy to make. In short - they have everything going for them including the nutrition :) I have this habit of detoxing my body on and off. It sounds like an bombastic ritual isnt it? Well its not. Its just that our body accumulates so much toxin in normal day to day life - pollution, water, chemicals and preservative in food etc. I am not even going to all those other toxin rich products we subject our body to in the name of "health", "looks" , "lifestyle" etc! Even without trying we have so much toxins thanks to the world we live in. In order to help get rid of some of them from the body, I adopt a weekly or monthly detox plan. It just means enjoying food which help the body in getting rid of harmful poisons from our body by way of flushing them out. 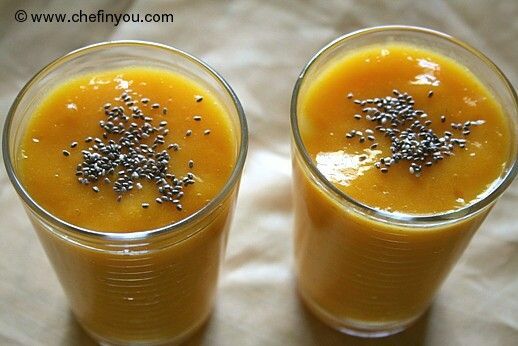 Among many such foods are gorging on lots of liquid based recipes - like these smoothies. I especially love this one - it has 2 of my most loved fruits - Mango and Banana. Why in god's name will I miss such a recipe ;) Its immensely simple with minimal ingredients. Its a total energy booster and I love it both in the morning and during evening time. The seeds also help to provide a good source of Vitamin E as well as calcium. The benefits of Chia I have as a separate article which you can refer on clicking the link. 1. Peel and chop the flesh of the mango. I think I used a little more mango since I LOVE mangoes :) Slice the banana. Combine these two in a processor. 2. 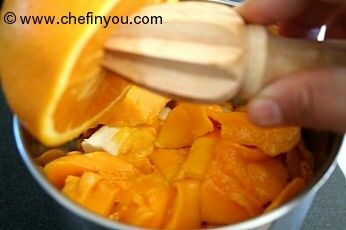 Squeeze out the juice of fresh orange juice. Using some store bought OJ doesn't affect the taste but fresh is always better. 3. 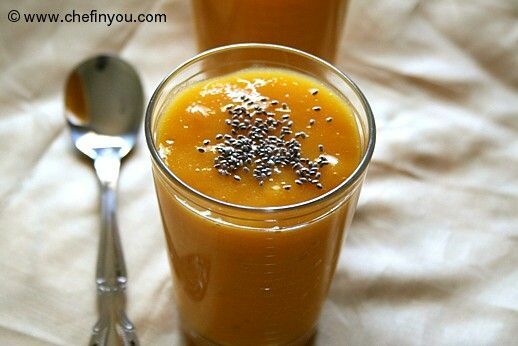 If using sesame seeds, add it to the blender along with the fruits.Blend it all into a smooth and creamy consistency. I did not use sesame seeds but I topped my smoothie with some Chia seeds adding to the nutrition to the smoothie. Very vibrant, fresh tasting, great for breakfast or evening. 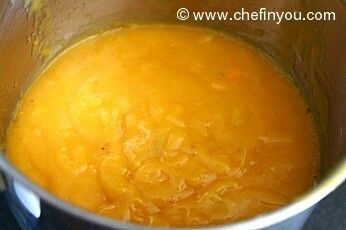 I used 1 large ripe mango, 1 banana (frozen! ), a squeezed orange, and 1/4 cup of vanilla almond milk. I didn't have the seeds for the top and I wanted something cold and creamy hence the frozen banana and almond milk. It was delicious. Thanks for sharing! Can we use something else other than orange, or should we just omit it? Thanks! :-? ummm, could you do it without the mango??? I thought i had some, turns out, NOPE!! I'm at a loss because im making dinner for my parents and i can't just go ask them to pick up a mango for me!!! HELP!! 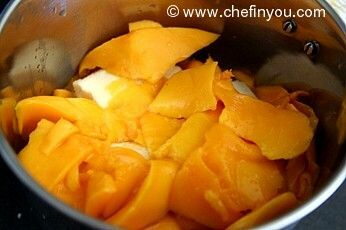 Can I use Mango pulp instead of Mango ? I too am a huge smoothie fan. Quick, painless, healthy, filling, and they keep me cooler in these summer months. I love the look of the sesame seeds on top! Anything mango does it for me :-)Love it! Nice combo. 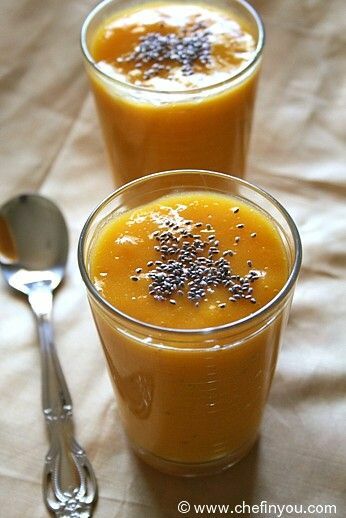 I make mango smoothe or banana smoothie, but to combine both will be good. Droolworthy and lipsmacking smoothie, looks prefect!